Mansion of merchant A. A. Nogarev (Ufa, Pushkin Street, 104), at the moment - the College of Music. 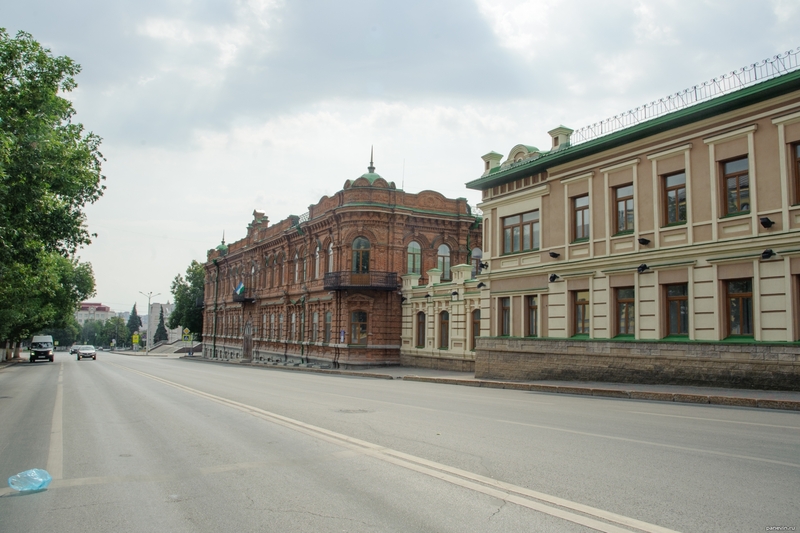 In the foreground is I. I. Korotkov`s house.